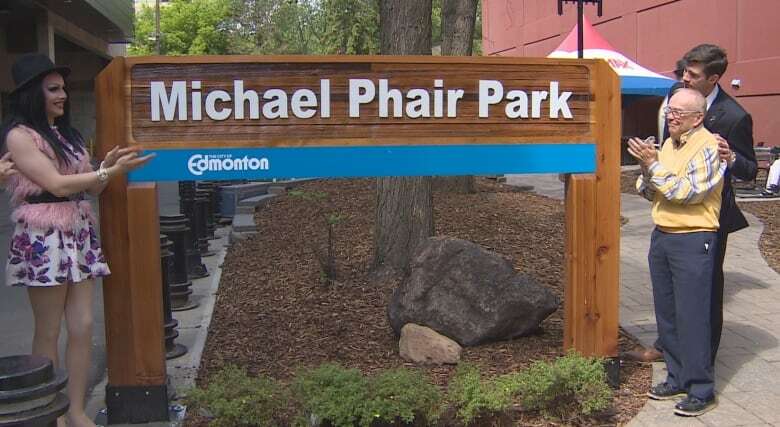 The City of Edmonton has named a downtown park at 10126-104th Street after former city councillor Michael Phair. 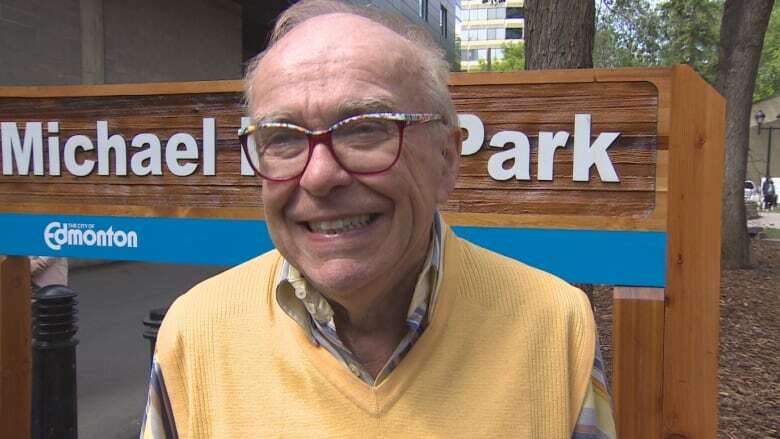 The City of Edmonton has named a downtown park after former city councillor Michael Phair. 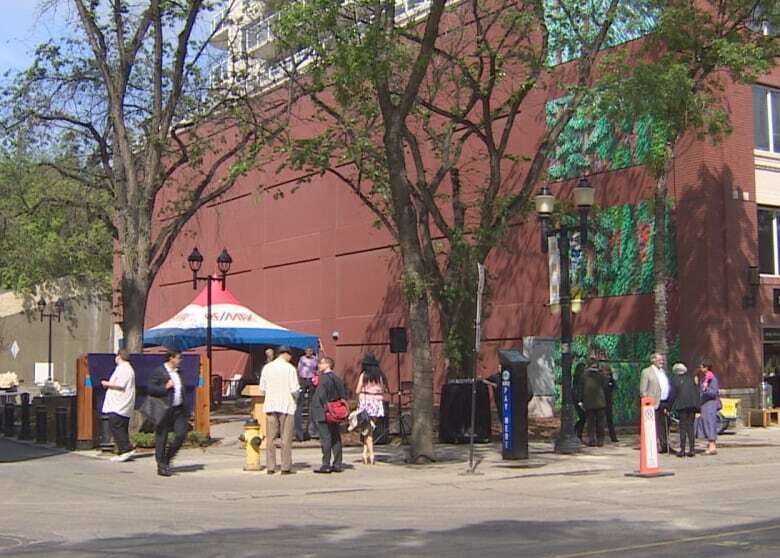 The park, a small space with picnic tables located on 104th Street just north of Jasper Avenue, was built in recognition of Phair's long service to Edmonton and his hard work in bringing more park space to the downtown. Phair, a city councillor from 1992 until 2007, was a key member of 'Edmonton on the Edge,' an initiative which strives to rejuvenate public spaces in the city. Fittingly, the spot where the park now stands was once an under-utilized tract of land. Now, with benches and tables, a mural and more art on the way, Phair hopes downtown dwellers will take advantage of the micro-park. "The park needs to be used and people need to be part of it to make it the lively place that I would hope it would be," he said. 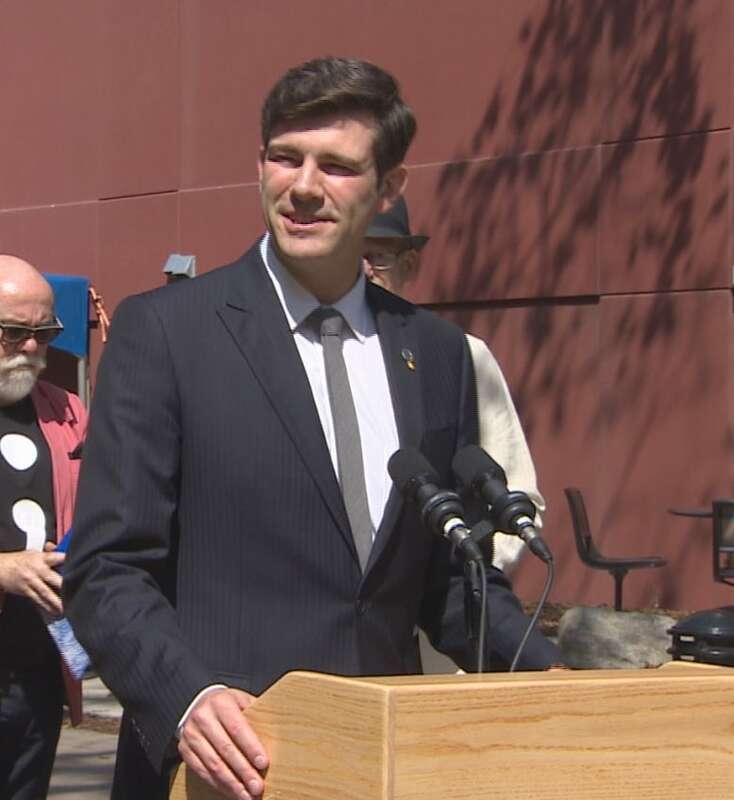 Mayor Don Iveson told the unveiling ceremony that Phair has contributed much to the community, not just through elected office but through "countless different acts" of volunteerism and leadership. 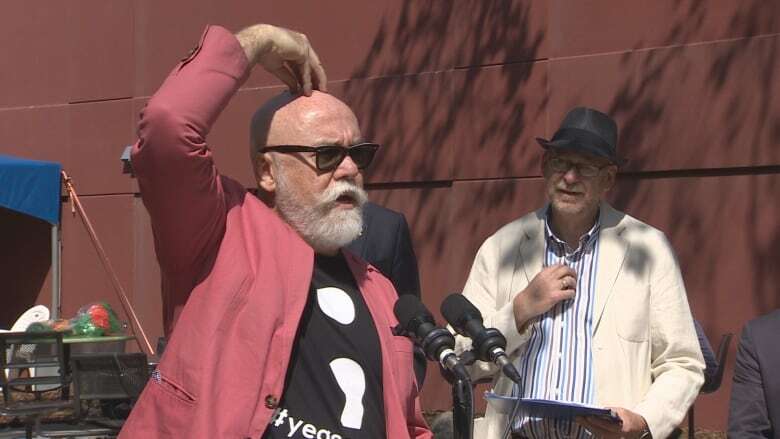 "I think Michael Phair parted the clouds for us today personally, and left us, as always, with a rainbow," said Iveson. Also present at the unveiling was Coun. Scott McKeen, one of the original champions for naming the park in Phair's honour. He described his years observing Phair while McKeen was working as a newspaper journalist covering city hall. "One of my strong memories was coming out of the press offices and looking down towards councillors' offices, and there was Michael coming out, with the tiniest pink cowboy hat on for Rodeo Week," said McKeen. "There was a moment there that I thought, 'Man, do I love this city.' "
Phair went on to become an icon for the city, McKeen said, building a reputation as a hard-working councillor who put people first. "Michael Phair is one of the great Edmontonians that has made our city an amazing place to live", McKeen said earlier in the day. "I know many Edmontonians, along with myself, are grateful for his many contributions." Phair made it clear he's just grateful for the park name honour, and for the many people who helped make the park's name official. "I'm absolutely delighted, but I'm really delighted for the downtown and the people that are part of 104th Street," he said. "It's really quite an honour to have a park with my name on it."